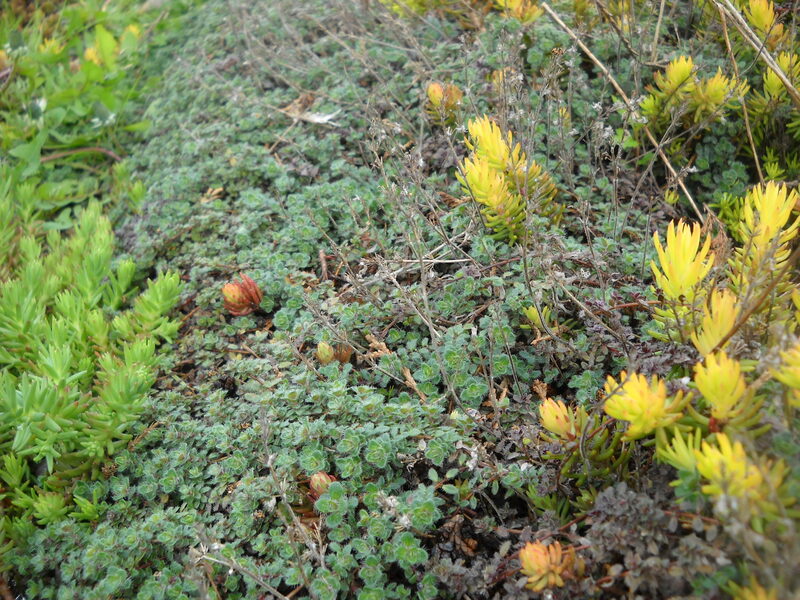 Lots of plants are designated as “ground cover”, because they do in fact cover the ground. 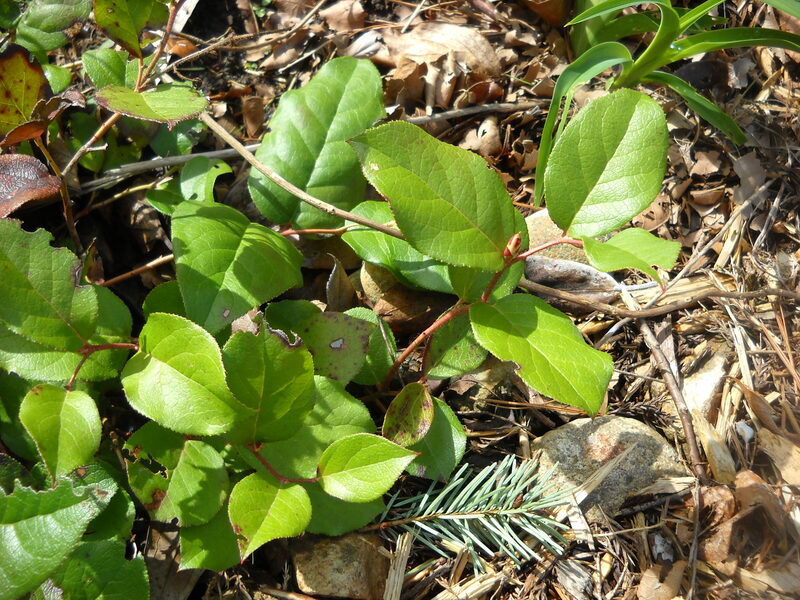 If the whole object is to prevent weeds from falling on the soil and germinating, almost anything dense will do. 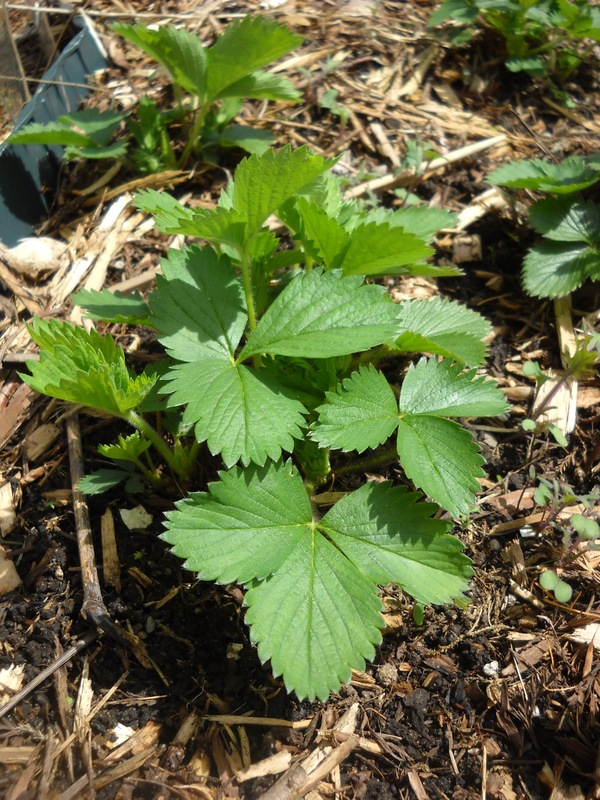 But my own definition is limited to plants that are essentially living mulch (and you all know how much I love mulch!). Do choose low growing plants. So I don’t use spreading junipers. Or cotoneaster. Or anything else woody. Or most ornamental grasses. All these have more “character” than I desire in a “living mulch”. I prefer my ground covers to almost disappear into the background (unless they don’t, as you will soon see…), and allow the taller, bolder plants to really shine. A bit like a subtle frame for a picture–usually it’s the picture you want to feature, not the frame. 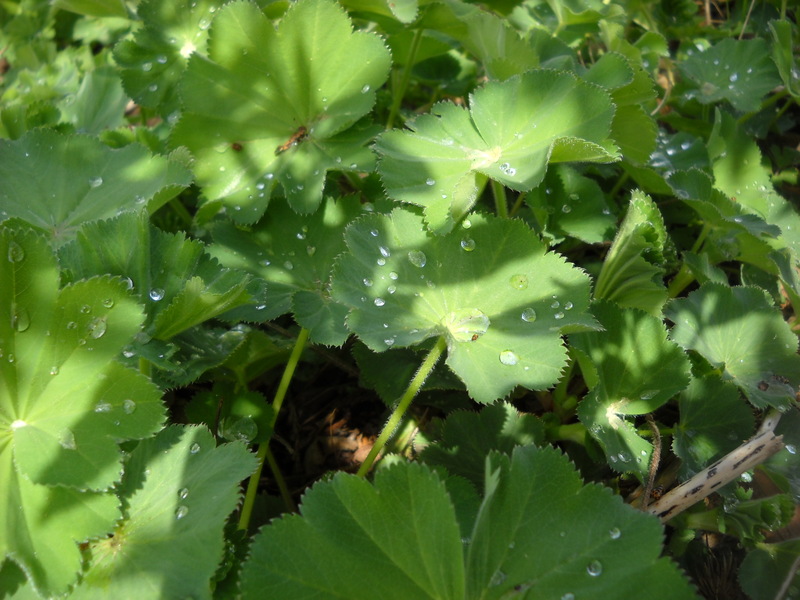 I include in the category of “too aggressive” things like Lady’s Mantle (Alchemilla mollis). It’s got a lot going for it, but it self-seeds like crazy, and tho’ fairly easy to pull out even when it’s pretty large, it does make for a lot of pulling. 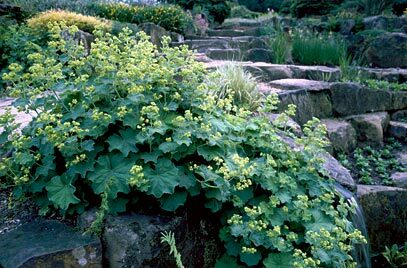 On the other hand it you’ve got a lot of space to cover, and this would include dry shade like under conifers, Lady’s Mantle is the thing for you. 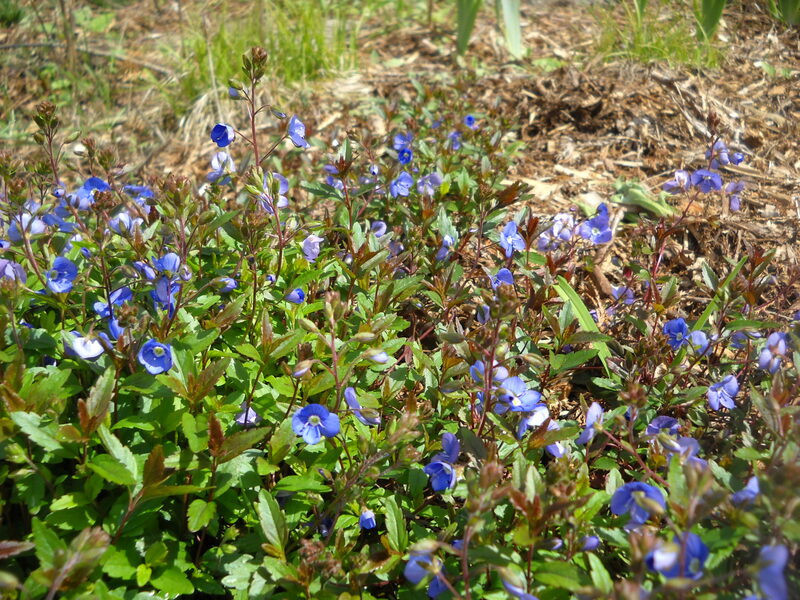 Ajuga is a pretty vigorous spreader, but can be controlled. Ditto for Creeping Thyme or Wooly Thyme. Both of these grow into my lawn, but if I had a wider edging, like 12″ flagstone instead of 4″ bricks, the runners of ajuga wouldn’t go that far. 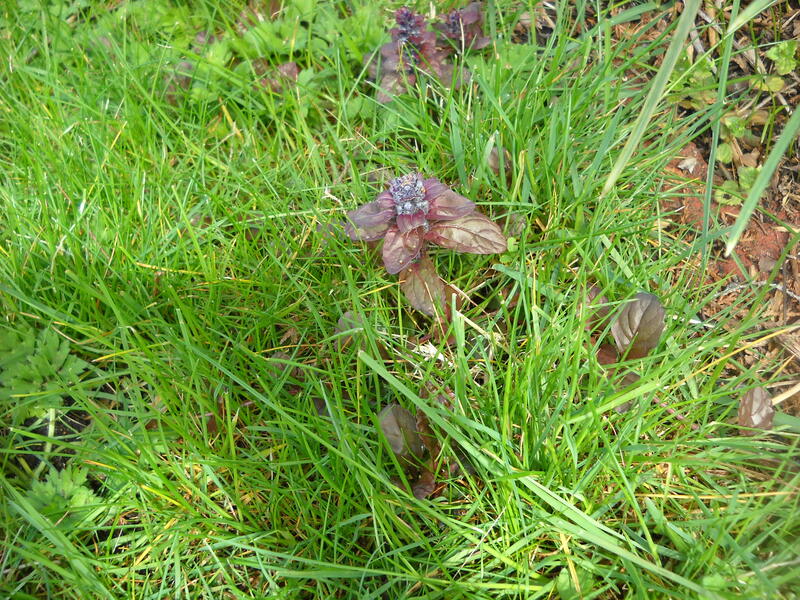 Ajuga growing into the lawn. Click on all pictures to enlarge them. Do choose plants that will give all season interest. First of all, evergreen. 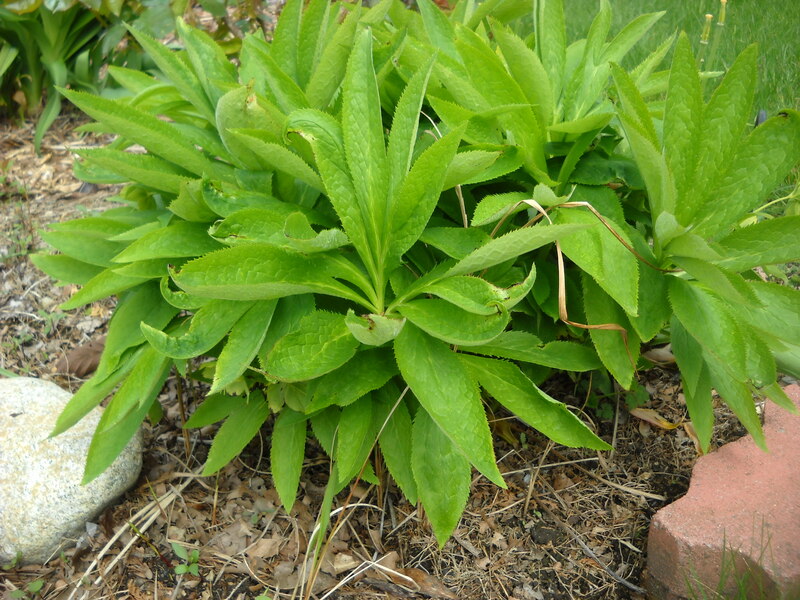 Herbaceous perennials (plants that lose their above ground growth at the end of fall) do not meet the need of ground covering. Large patches of daylilies or columbine or Sedum spectabilis (the tall ones) will indeed cover a lot of ground, but only until winter, when all above ground greenery dies off (needing to be cleaned up), and the ground is again open and subject to weeds blowing in, to compaction by winter rains, and to squirrels digging up bulbs and burying nuts. Secondly, colour. Either foliage colour or flower colour. Heuchera ‘Purple Palace’. An “evergreen” that still needs a little spring clean-up. 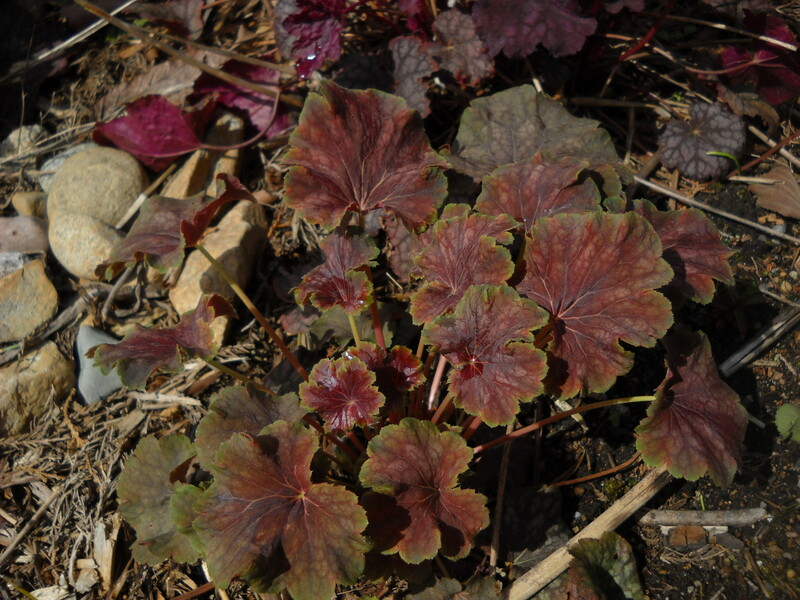 Another Heuchera–it was already here when I moved in, so don’t know what cultivar it is. 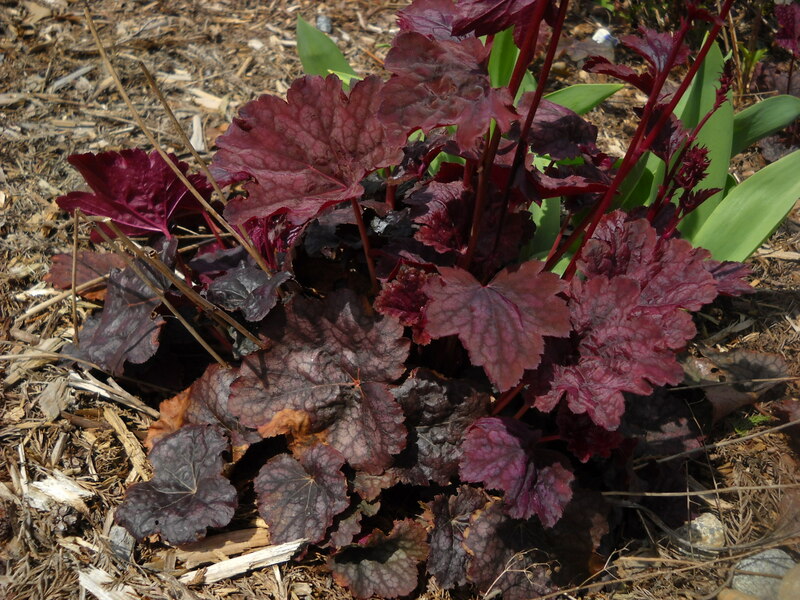 Both these heucheras have strong colour–not what I’d call subtle. But I find they don’t compete with their mates–I have them located mainly where the plants that grow up around and through them have a much shorter season–like spring and summer bulbs. Alchemilla mollis. Tiny hairs on the surface of the leaves creates “ultrahydrophobic” effect. Do choose plants that your native garden visitors (like pollinators and insect predators) will appreciate. 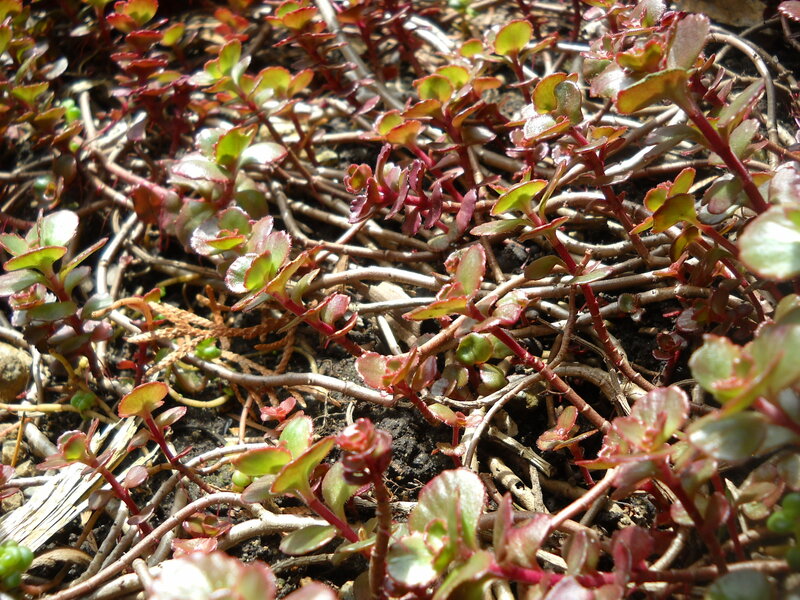 This would include anything native that still fits into all the other requirements: Mike’s top 5 include Tiarellas, Heucheras, Epimediums, and I’d add Salal (Gaultheria shallon)–the dwarf varieties. Don’t choose plants that need a lot of cleaning up. Poor Lady’s Mantle, she gets a bad rap from me. She’s not “herbaceous”, in that she doesn’t lose all her leaves in winter. But most of them will dry up and shrivel. So they are still covering the ground, but need cutting off in the spring when new growth starts. 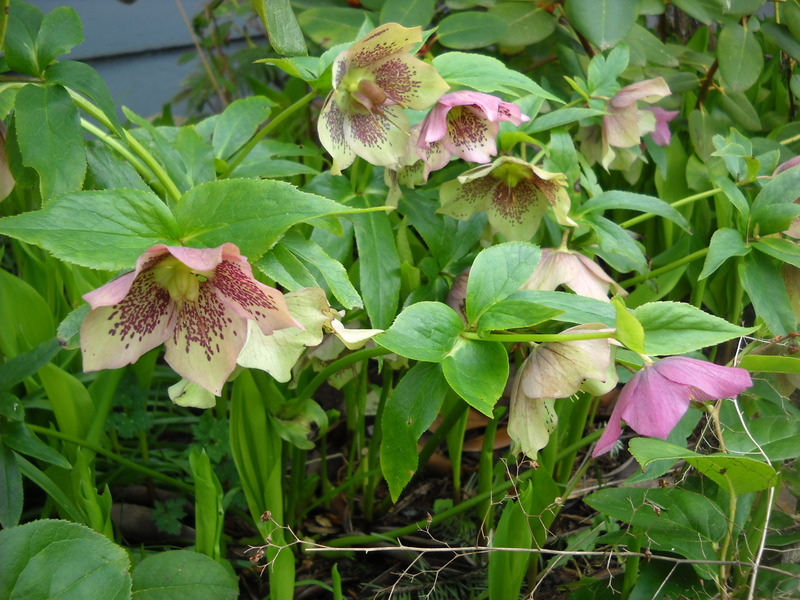 Hellebores have a similar need: they really are evergreen, but by late winter or whenever the particular cultivar begins to produce flower buds, the foliage is looking a little tatty, and may actually hide the flowers. So I usually cut off old foliage as new flowers begin to sprout. Hellebore in flower with last year’s leaves removed. Different Hellebore after blooming with full spring growth. this one blooms much earlier than the previous pic. Both pictures taken same day. Now neither of these chores is particularly onerous–unless you have acres of them, in which case they will be onerous. Don’t choose plants that will compete with other plantings. 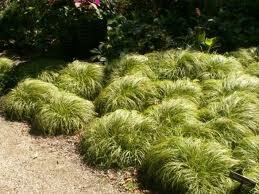 This would include plants that have a bold character on their own–like Blue Fescue. Blue Fescue is a brilliant plant–love its colour, its shape, it texture, it’s minimal clean-up. But it definitely doesn’t meld into the background. So as a feature plant, especially when mass-planted, it’s wonderful. But not “groundcover”. Other ornamental grasses however have a more subtle presence, and are fine for groundcover: Carex caryophylla ‘Beatlelmania’ is one of my faves, altho in my garden it’s hard to keep it happy. 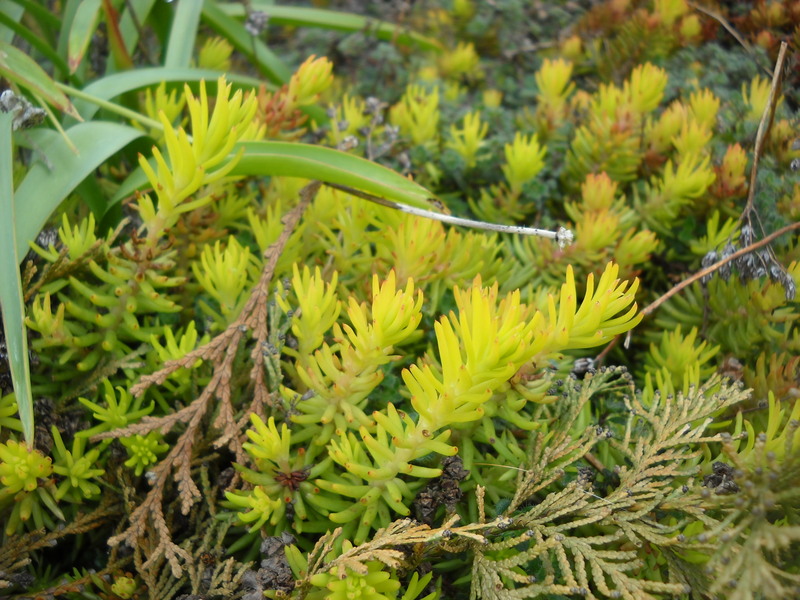 Another sedum. 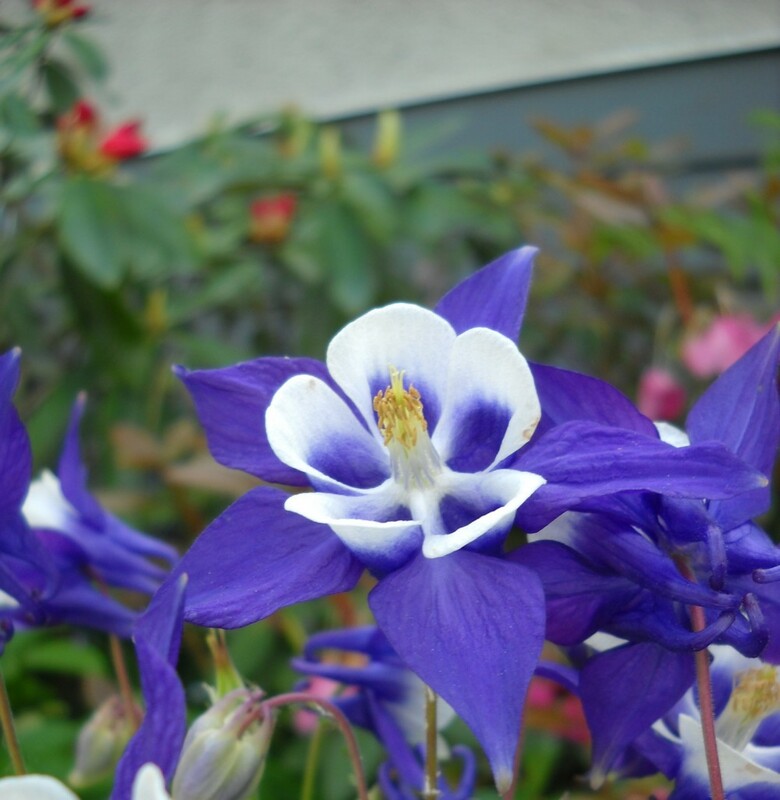 Most flower in the early summer. Most can be walked upon without damage. most have spectacular texture. Hard to beat. 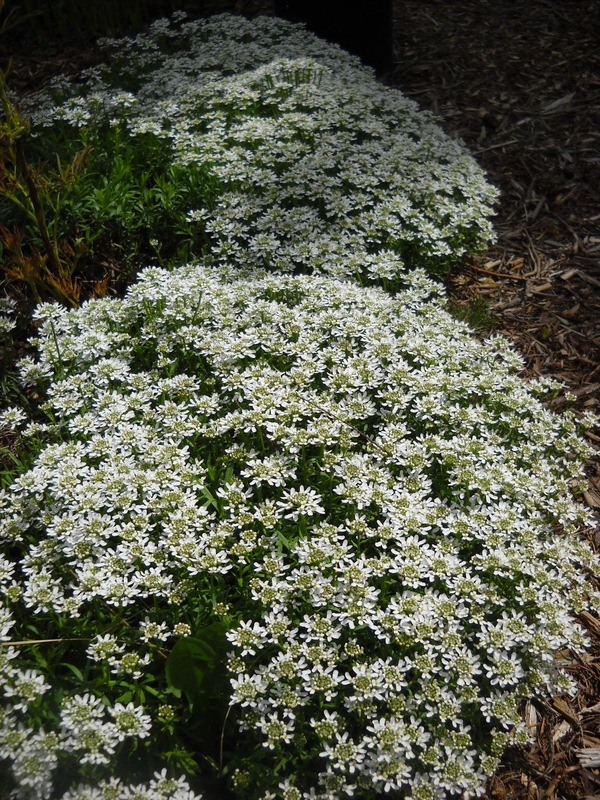 Saxifraga x urbium –London Pride, also called “None-so pretty”! 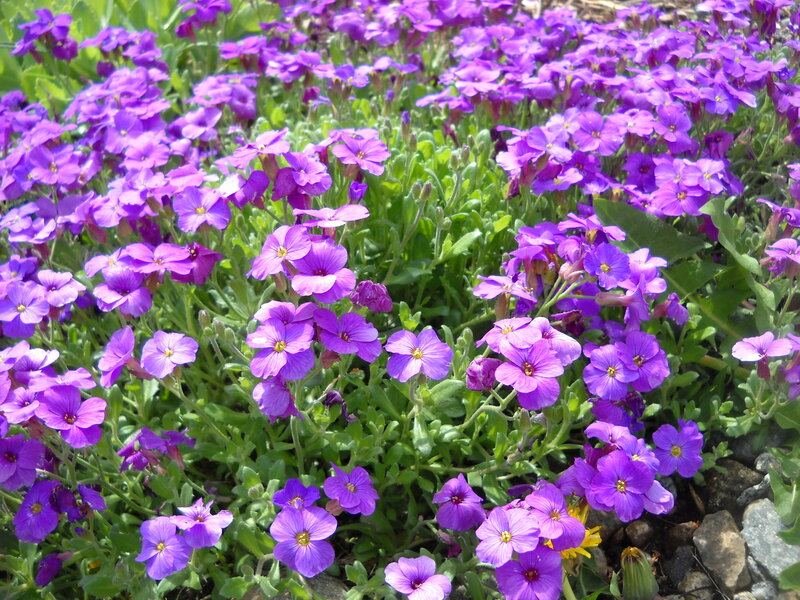 Most of the above plants are mainly sun-lovers, but will tolerate some degree of shade. Those like Iberis and Aubretia that put on a carpet of bloom would seem to be a bit bold to “meld into the background”. But when they’re in bloom, there’s not much else around them. 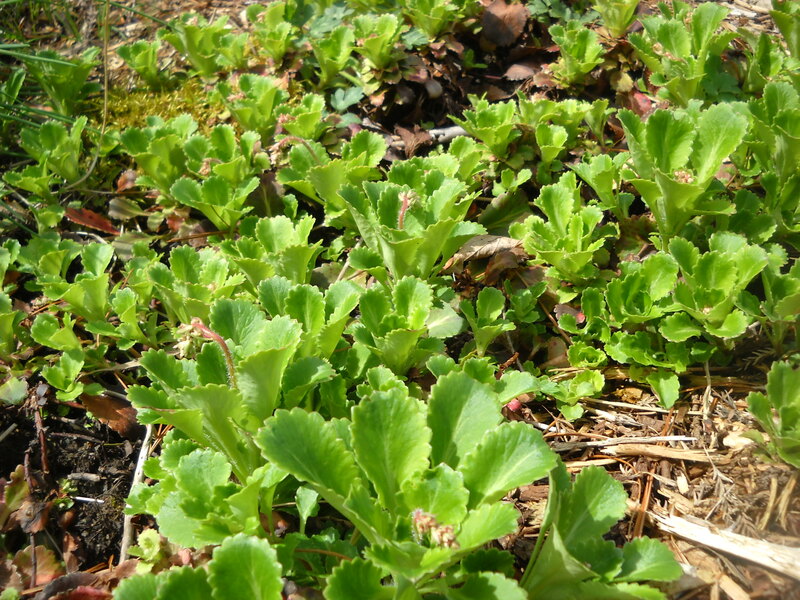 But the time other perennials or shrubs are growing and sprouting, the groundcover is a lovely carpet of green. Background green. So you have LOTS of suggestions here. No excuse for not having your soil safely covered and protected from weeds, critters, compaction. Unless you prefer wood chip mulch! Comments? Questions? Concerns? What are you using for ground cover? Leave them all in the comment box. This entry was posted in 5 Things, design, garden, lawn substitute, low-maintenance, Sustainability and tagged ajuga reptans, alchemilla mollis, epimedium, ground covers, hellebore, heuchera, iberis sempervirens, soil compaction, tiarella, veronica repens, weed prevention by Janet. Bookmark the permalink.